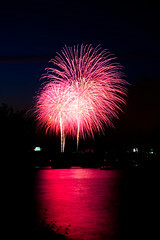 The fourth of July is the birthday of our nation. On Monday, we celebrate and enjoy the freedom that comes with the event that made this day so special. Thomas Jefferson, the author of the Declaration of Independence led a committee that crafted the declaration between June 11-28, 1776. Jefferson and other discontented representatives from the thirteen colonies voted and approved it on July 4, 1776. The document declared freedom for the 13 colonies from British rule. While it currently resides in the Exhibition Hall of the National Archive in Washington, D.C., where it really resides in the hearts and minds of America’s people. If you were really picky the Declaration of Independence was not signed by all representatives until August, 1776. To make it official, John Hancock, President of the Continental Congress signed it which where the saying “put your John Hancock on it” came from! Today, we enjoy the benefits of the freedom which the framers signed and ultimately fought for. For us, it is a time for baseball, hot dogs and family picnics. Summer is in full swing and life is good. This is not a dress rehearsal. The Fourth of July is not complete without parades and fireworks. We hope you make time to enjoy this wonderful holiday. I know we plan to. Novy Scheinfeld, DDS. and Family. The rate of smoking in America has been cut roughly in half, to about 19 percent, from 42 percent in 1965. Yet smoking remains the leading cause of preventable death, killing 443,000 Americans a year, according to the CDC located here in Atlanta, GA. According to the government, an estimated 4,000 youths try their first cigarette every day, and 1,000 a day become regular smokers. Most likely emboldened by a case the government won last year in a federal court in Kentucky on its overall ability to require larger warning labels with images, Federal health officials released on Tuesday their final selection of nine graphic warning labels to cover the top half of cigarette packages beginning next year, over the opposition of tobacco manufacturers. The government won and the specific images released Tuesday are likely to stir further legal action. The Kentucky case is before the United States Court of Appeals for the Sixth Circuit. Meanwhile back at the ranch, R.J. Reynolds, Lorillard and Commonwealth Brands, the second, third and fourth largest United States cigarette makers, said in a submission to the F.D.A., the “nonfactual and controversial images” were “intended to elicit loathing, disgust and repulsion” about a legal product. Unfortunately what the tobacco industry fails to understand is this is a critical moment for the United States to move forward in attempting to utilize enhanced efforts in this area according to the F.D.A. commissioner, Dr. Margaret A. Hamburg. As much as seven years ago smoking leveled off at about the 20 percent level of adult and youth in this country and we need to step up our action to eliminate smoking all together. According to the CDC, approximately 75% of all oral cavity and pharyngeal cancers—mouth, tongue, lips, throat, nose, and larynx— can be attributed to the use of tobacco related products. Those who choose to use cigarettes, cigars, pipes, chewing tobacco, or snuff, place themselves at a much higher risk of developing oral cancer and other diseases, such as heart disease, emphysema and chronic bronchitis. The U.S. Surgeon General agrees that oral health is a strong indicator of one’s overall health and well-being (CDC, 2006). Often, diseases give their first warning signs in the form of a patient’s oral problems. Without consistent care and monitoring, several oral health problems can result. Immediate risks include gingivitis, cavities, tooth decay, and other gum diseases which can eventually result in various types oral cancer. There is a “silent epidemic” (U.S. Surgeon General) that can be avoided by regular treatment at home and dental visits at least twice each year. While practicing good oral hygiene at home is vital to your health, there is only so much that personal oral maintenance can do. A normal person can easily overlook conditions that could greatly complicate or even end one’s life. Thus, visiting your dentist for regular checkups is vital to a healthier smile. “Routine dental exams uncover problems that can be easily treated in the early stages, when damage is minimal” (American Dental Association [ADA], 2008). Now that it is known that gum disease can be a major risk factor for heart disease, stroke, and certain forms of cancer, regular visits to your dentist can help prevent and treat this disease. By treating conditions early and learning from your dentist how to prevent oral diseases, you can achieve better health and ultimately better quality years of life. 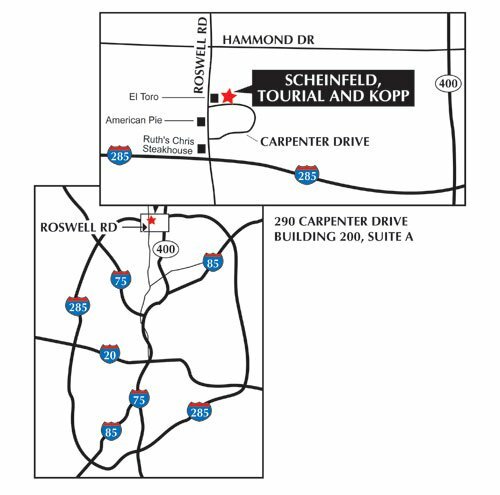 Dr. Scheinfeld is an Emory University School of Dentistry trained prosthodontist treating patients in the Sandy Springs, East Cobb, Dunwoody, Roswell, Johns Creek, Alpharetta, Vinings and Buckhead areas of Metro Atlanta. Of the 170,000 dentists in the U.S., less than 2% are prosthodontist. Only 600 calories of non-starchy vegetables per day were consumed. But what an amazing sacrifice, to rid yourself of life threatening diabetes. According to Newcastle University in a groundbreaking British study, patients who consumed only 600 calories a day for two months were able to reverse their Type 2 diabetes. The research, involving only 11 patients, suggests a very low-calorie diet can remove fat that clogs the pancreas, allowing normal insulin secretion to be restored. Seven of the 11 patients remained free of diabetes three months after the study. 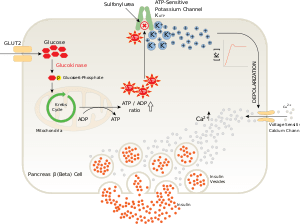 The study that was announced Friday at an American Diabetes Association conference is being published in the journal Diabetologia. Over eight weeks, researchers monitored the fat content in the liver and the insulin production from the pancreas, comparing the results to a control group of non-diabetics. After only one week, the diabetics’ pre-breakfast blood sugar levels were normal. According to NU researchers, MRI scans of the patients’ pancreases revealed that fat levels had dropped, which allowed the organ to produce more insulin. While the trial sample is very small, the potential discovery is huge. The tongue piercing, which involves placing a “barbell”-type stud through the tongue puts people at risk for chipped teeth, recessed gums, and nerve damage, warns the Academy of General Dentistry (AGD). However, most people don’t realize that getting an oral piercing also places them at risk for developing a fatal infection or, in some cases, a mini-tongue, according to a report in the January/February 2006 issue of General Dentistry, the AGD’s clinical, peer-reviewed journal. If you need additional information or have questions, this article was contributed by Dr. Justin M. Parente of Alpharetta Endodontics, www.alpharettaendo.com (770-772-3002). Dr. Parente received his DMD and post graduate Endodontic specialty training at Medical College of Georgia and is a member of the American Association of Endodontists. 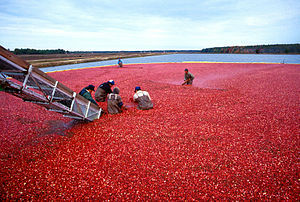 A recent study at Rutgers University, and published in Phytochemistry, confirmed a long-held theory that ingestion of cranberries is helpful in protecting against harmful bacterial in the urinary tract. This is due to one of its natural compounds called proanthocyanidin [PAC’s], and its anti-adhesion effect. The anti-adhesion property of cranberries prevents bacteria from sticking to the urinary tract, which is one of the most common regions for a woman to develop a bacterial infection. Half off all women will experience at least one urinary tract infection in their lifetime. E. coli, bacteria that cause urinary tract infections, are becoming increasingly resistant to common antibiotics. The study concluded that 80% of the antibiotic-resistant bacteria were prevented from sticking by the anti-adhesion property of cranberries. There is some conjecture that PAC’s found in cranberry may minimize stomach ulcers and gum disease by the same mechanism.